Why Start A Parking Lot Maintenance Company? Parking lot maintenance can include things like striping, sweeping, power washing and more items. We reached out to Jerry from Parking Lot Striping Fort Worth to understand what it will take to get into the parking lot maintenance business. As with any new business startup, without a basic understanding of the job, one can be left stranded in large amounts of startup debt. Here are some great tips and techniques for you to absolutely win in this business. Owning the necessary tools and equipment for cleaning parking lots is essential for success in the field. What most don’t know is you rarely want to clean parking lots with water. Although it may seem easier or faster, you can sometimes make more work for yourself by using water. Instead, use sweepers on trucks, or even steam cleaning. Step Two – Knowing Your Objective With Parking Lot Sweeping or Power Washing. Removing automobile fluid stains, which are a hazardous waste from the concrete by using steam for cleaning instead. Get a decent idea and preferably firsthand experience on completing these tasks before you start, in order to maximize your business’s profits. Ugh. Nobody likes the sound of that word because it means doing paperwork and other complicated tasks–Or at least most people think so. 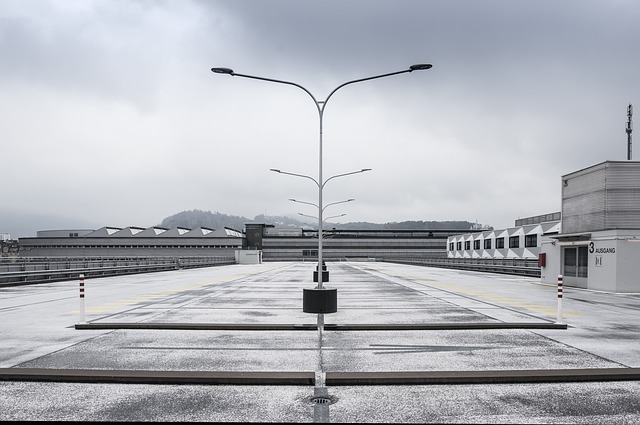 However, a primary step in starting any business is licensing and legal compliance, and the same holds true for any parking lot maintenance business. This is an unavoidable obstacle that must be passed in order to successfully start up your business. Setting up parking lot sweeper businesses will most likely require a sizable investment to buy a commercial equipment and correctly advertise the business. Get financing from a bank, and apply for a loan or credit if you do not have upfront capital. You will probably need to provide collateral such as a car title or home equity to qualify. Don’t worry, though. With a little time and effort, you can be making money back and eventually have profits flowing in daily. Make sure you build a strong enough client base. Many people forget how important word-of-mouth really is. Print business cards, create a professional website and make nice flyers for advertising your business. Give your information to places like retail management companies, apartment complexes, etc. What is the condition of the parking lot? “Grit” can deteriorate pavement. If your lot picks up too much grit, wear can happen much faster so clean the lot more frequently. Are there trees near the lot that drop leaves/sap throughout the whole year? If trees are present, you should have the area swept on a more consistent basis. If they are evergreens, you don’t need to worry as much. How long until the lot looks like it needs to be swept again? If the lot is swept once per week, and looks alright at the beginning of the week, but gets worse before you do it again, increase the times per week you sweep. This can increase profits, so it’s not all that bad. How bad do the client’s gutters get in-between sweeps? Much of the debris in water systems today is debris which washes down from unswept lots into gutters, and into the watershed areas. What is your (and the customer’s) acceptable level of cleanliness? A clean, more up kept business attracts more customers, clients, and patrons than an unkept area. The street and lot in front of their establishment act as a “welcome center” that people get their first impression from so it needs to be an excellent one. How much are you willing to spend? Plan on a budget for assets and/or maintenance and follow a regular maintenance schedule. With these tips in mind, your business will skyrocket past any competition there is, and you are sure to be a successful parking lot sweeper.